Beloved recipes are something of a keepsake and should be organized in a way that they can be useful to you time and again. Whether they're old family favorites or new dishes you pick up along the way, building a repertoire of the foods you make for your friends and family time and again is not only fun, but also a great way to keep you sane. No more rushing around desperately trying to find something to make for dinner or potluck dinners… You'll always have your favorites to call on when unexpected visitors call, you need to whip up dinner for the family or you need something to make for the kids' bake sale at school. 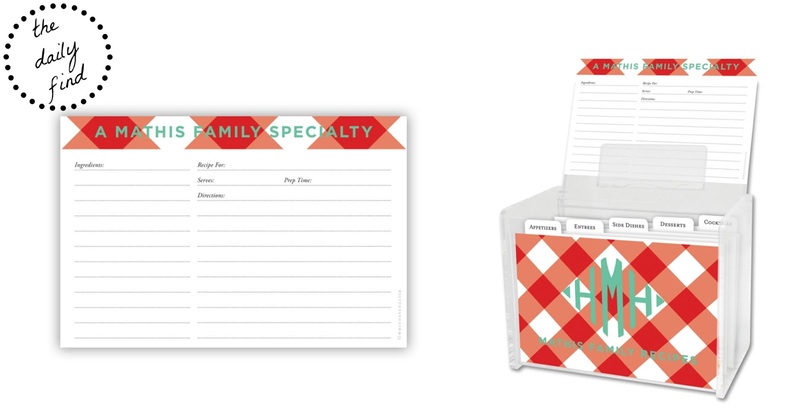 What could be more special than keeping your best recipes on personalized cards in a personalized box? Consider it an heirloom… Some day you may pass this box on to your son or daughter to keep the recipes in the family and they'll think of you every time they cook from it.